That was basically the response given by a a federal bankruptcy judge to RPM International Inc., the parent company of Bondex and Specialty Products Holding Corp., in its efforts to limit its liability on future asbestos exposure litigation claims. Judge Judith Fitzgerald called the company’s attempt a “novel theory,” but ended up flatly rejecting it in a 51-page ruling issued from her position in the U.S. Bankruptcy Court in Wilmington, Delaware. Our Boston mesothelioma lawyers believe Fitzgerald’s ruling contains sweeping language that is expected to have implications for future asbestos exposure cases. Bondex, as you may know, is a joint compound that was used by everyone from plumbers to home builders to do-it-yourself motor vehicle mechanics. Products made from this asbestos-laden material included ready-mix joint cement, liquid aluminum coating, fibered masonry coating and ready-mix finish. Bondex and its direct holding company, Specialty Products Holding Corp., were later purchased by RPM, who continued to market many of these same, dangerous products. Then, as so many companies beset with asbestos litigation later do, Bondex and SPHC filed for a Chapter 11 bankruptcy protection. 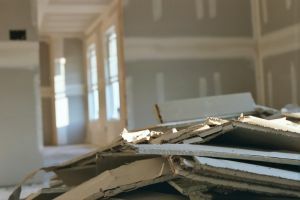 RPM was not a part of the filing, but the bankruptcy was intended to initiate the establishment of an asbestos section 524 (g) trust that would serve to compensate existing and future asbestos victims. If approved, it would not only cap the value of future claims against the two subsidiaries, it would hold RPM blameless in future litigation. As part of setting up this trust, the companies had to estimate what their actual current and future liability is. Part of that involves determining the history and value of past claims. This is where Bondex tried to get tricky. Both companies said their liability should be between $300 million and $575 million. The firms argued that in delving into the history of these claims, there were a number of cases that couldn’t be counted. The reason? The companies said they had only settled them because they were “nuisances,” and doing so was not an admission of guilt, but rather an effort to reduce the cost of litigation. By weeding out these “nuisance” claims, the companies argued, they could significantly reduce their future liability amount. It’s true that some companies will settle certain claims on the basis of factors other than merit. However, allowing the companies to determine which claims are which, particularly when we’re talking about how much money they should set aside for future cases, is a little like allowing the fox to guard the hen house. The companies have said they intend to appeal, a process that could take another three years.